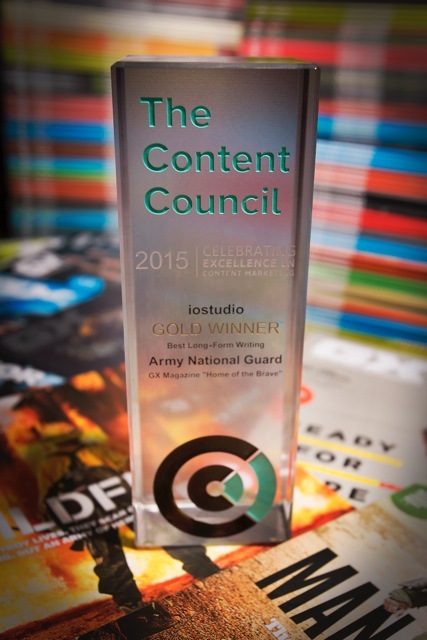 More hardware for iostudio’s GX®: The Guard Experience magazine! 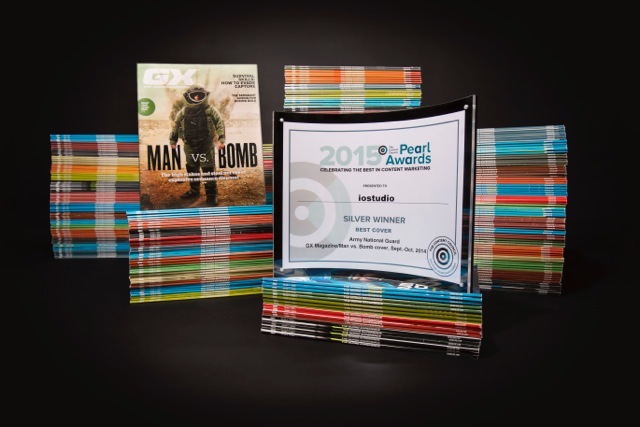 The Content Council Pearl Awards, which honor excellence in content marketing from around the world, handed GX the Gold award for best long-form writing, Silver for best cover and Silver for best long-form video, plus an honorable mention for best print magazine design! One of those three awards was a Silver, awarding a video we produced for GX as a digital accompaniment to our feature for “Man vs. Bomb.” Watch the video below! You can read more about the Pearl Awards on their website. Newer PostHappy Anniversary to the Kirby Center!